Oscar Fingal O'Flahterie Wilde was born in Dublin on 16 October, 1854, the second of three children. His father, Sir William Wilde, was Ireland's best oto-optamologic, knighted for medical services, and collector and publisher of Irish folklore. His mother, Jane Francesca Wilde, was an Irish nationalist, a poet who published under the pseudonym 'Speranza', and the centre of a literary salon. In February 1867 Oscar's little sister Isola died, and he carried a lock of her hair thereafter. 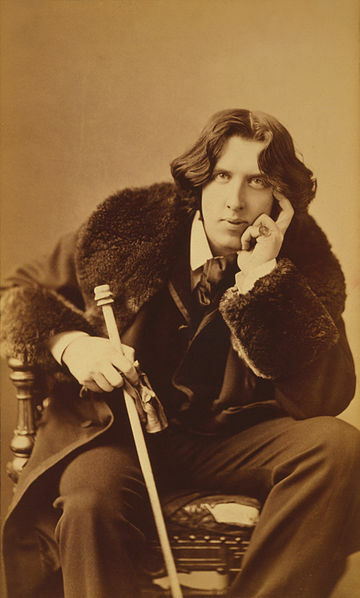 By the time he finished school in 1871, Wilde had won a scholarship to Trinity College, Dublin, where he studied classics with John Pentland Mahaffy and Robert Yelverton Turrell. Mahaffy, whom Wilde called his 'first and best teacher', would later inspire Wilde's character Prince Paul Maraloffski in Vera. In his final year Wilde won Trinity College's highest academic award in Greek, the Berkeley Gold Medal, and received a demyship to study Greats and Classics at Magdalen College, Oxford. Read more.